When extended health care benefits are provided by a company to employees, nearly 100% of employees utilize components of the benefit plan. 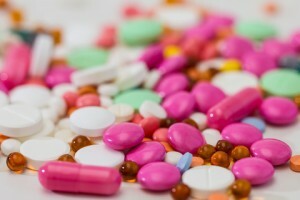 Studies have shown that 60% of the paid claims are for prescription drugs. Another 20% of paid claims are for paramedical services such as chiropractic, physiotherapy, massage, and other alternative therapies included on the plan. The cost of extended health care benefits keeps rising because of several factors: aging population, utilization, inflation, large catastrophic drug claims, changes in health service coverage and erosion of deductibles. As the population continues to age, the utilization of extended health care benefits will rise accordingly because the percent usage for prescription medication increases with age. For instance, a typical 30-yr-old employee on average claims 9 prescription medications per year (including dependant claims), a typical 60-yr-old employee claims over 30 prescriptions per year and a typical 80-yr-old retired employee claims well over 60 prescriptions per year!!! It has been shown that for each five year in age increase, the average cost of claims increases by 40%! Significant utilization increases in maintenance drugs for conditions such as blood pressure, gastrointestinal, cholesterol and diabetes. These are conditions that typically rise as the population ages. Unexpected and unusually high claims are referred to as catastrophic claims and are a huge financial risk to health care plans. Certain diseases such as rheumatoid arthritis or diabetes can have huge costs associated with them. Even though these catastrophic claims represent 1% of the claims, on a paid claimed basis they represent 18% of total costs of the plan. It is also found that claimants that claim more than $5,000.00 in one year, nearly 60% of these continue to claim $5,000.00 in subsequent years. Out of country and chronic conditions are also considered catastrophic claims because they can cost $300,000 to $500,000 per year. There are pending changes to the health care services provided in Canada allowing clinics to offer infusion of cancer drugs. This will significantly increase the cost of private plans as some of these drugs can cost $50,000 a year. Previously, these drugs were only offered in hospital settings and the costs were absorbed by provincial health care systems. Finally, year after year the fixed deductibles do not keep up with average cost increases, as a result the proportion of the costs paid by plan sponsors increases each year. If, for example, a claim is made for a $50 massage with a $25 deductible one year and the following year a claim is made for a $60 massage with the same deductible, the plan sponsor will be now paying 58% of the claim versus 50% of the claim the year before. Over the past decade, the top ten most common prescriptions claimed have not changed. What has changed is the order of usage. Since 2008, heart disease medications such as cholesterol and blood pressure lowering prescriptions, have maintained the top spots for prescription drug usage. The following are the remainder of conditions that have the highest prescription usage: depression, diabetes, ulcers, asthma, antibiotics, rheumatoid arthritis, narcotic analgesic and skin disorders. One of the quickly increasing areas of claims for group plans is disability claims, both short and long term. The average increase per year has been approximately 9.5%. The following are the leading areas of disability claims: Neurological disorders (depression and anxiety are the primary reasons), musculoskeletal (including arthritis), digestive, cancer, cardiovascular, infections and respiratory. Even though heart disease remains the number one chronic disease that affects the most Canadian per year, there is rapid acceleration of diabetes mellitus type II (DM II). If this disease progresses uncontrollably, it is the most expensive of all diseases to treat because patients become severely debilitated but can live for years with this debilitation. It is estimated that DM II costs 132 billion dollars a year to treat. Currently 7% of North America are diagnosed with DM II. Once this figure reaches 10% of the adult population, the extended benefit plans and the health care system will be significantly financially strained. Sadly, the diagnosis of diabetes is now occurring at an earlier age and will affect even greater percentage of our population sooner than previously predicted. What is common to the expenditure patterns of extended health care benefit plans, the usage of prescription drugs and the rise of disability claims is that all the diseases listed have a common link of increased levels of silent inflammation. The longer silent inflammation is left untreated the more it desiccates healthy tissue. Well over half the costs of the extended health care insurance go to pay for disease conditions strongly associated with silent inflammation. Employees continue to express signs and symptoms of their disease diagnosis, utilizing and depending more on the benefits provided by extended health care plans. This is making extended benefit packages more expensive. What can a corporation do to survive these staggering statistics and rising costs? It is becoming apparent that an employee’s personal lifestyle habits and choices are no longer “personal”. Companies and corporations ultimately pay the final price for their employees’ poor choices over the years. What will forever remain a fact is that any company needs people. Companies need people to be productive in their jobs which increasing corporations bottom line. If a company engages in the same cycle of paying for extended health care benefits that simply cover prescription medication, without addressing the cause and prevention of disease, the same problem of low employee productivity and low company profitability will persist. It is now time for corporations to consider investing in corporate wellness programs to turn the ship around. A corporate wellness model helps employees function better and teaches them how to implement healthier lifestyle choices while holding them accountable. With such programs implemented, it’s a win for corporate employees and it is a win for corporations. If you are a corporation that is ready to take the next step to ensure your company remains the company of choice amongst eligible employees and remains highly profitable, I have a corporate wellness model that will help.